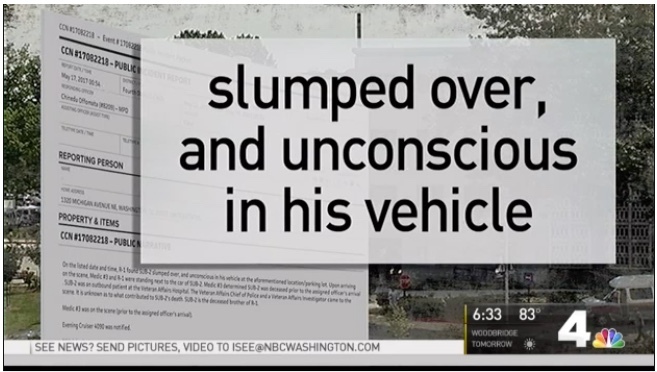 The Metropolitan Police Department, the D.C. medical examiner and top officials with the Washington DC VA Medical Center are investigating the discovery of the body of a military veteran in a car outside the medical center in May. The News4 I-Team learned the agency is being questioned for a delay in finding the man’s body, despite multiple requests from his family to look for him. A relative of the veteran said she reported the man missing when he didn't return from an appointment at the medical center May 15. She said the man’s body wasn’t found until the early morning hours of May 17 and was only discovered by the man’s sister. The veteran’s sister said she searched the parking lot herself after the VA medical center failed to find him, after multiple requests. 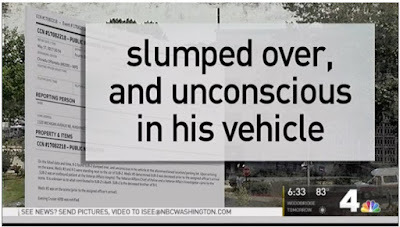 A police report obtained by the I-Team said the veteran was found “slumped over” and unconscious in a vehicle at the medical center’s parking lot. The large DC VA Medical Center, which sits along Irving Street near North Capitol Street in Northwest, has a large, open-air parking lot near its main entrance.